W x Gusset x H: 8" x 4" x 16"
Our white t-shirt bags 8" x 4" x 16" are durable and affordable handle bags for a variety of products like books, groceries and clothes. These 8 x 4 x 16 t-shirt-carry-out bags can be customized to represent your company's image and are the perfect solution for any convenience store or restaurant. 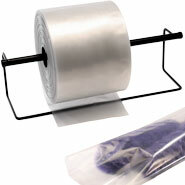 These 8x4x16 plastic shopping bags with durable and easy to hold handles can also be reused or recycled.